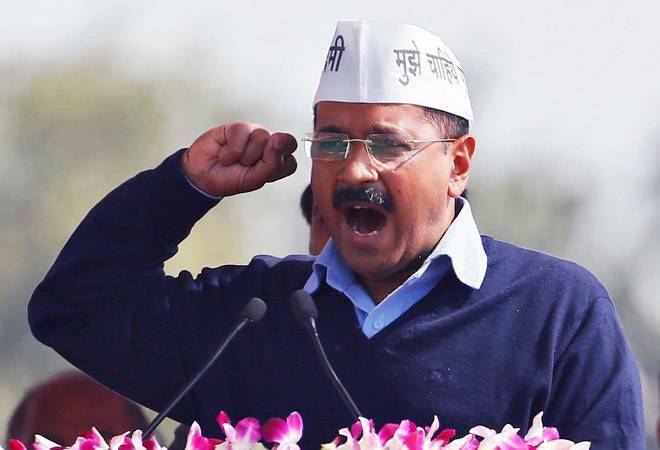 Delhi Chief Minister Arvind Kejriwal has been named among the world's 50 greatest leaders by Fortune magazine. Kejriwal is sole leader from India in the list and has been placed at 42nd position. The list has been topped by Amazon CEO Jeff Bezos. However, South Carolina's Indian-American Governor Nikki Haley is also on the list at 17th while another Indian- American Resham Saujani the founder and CEO of tech organization ‘Girls Who Code’ is at the 20th spot. Her organization aims to get more women into computer science and by the end of this year, more than 40,000 girls will have gone through its training and internship programmes. Other famous personalities on the list : The list also includes US astronaut Scott Kelly and Russian cosmonaut Mikhail Kornienko (22th), IMF Managing Director Christine Lagarde (36), Melinda Gates and Susan Desmond-Hellmann (41th), Canadian Prime Minister Justin Trudeau (48) and Bhutanese Prime Minister Tshering Tobgay (50). World's 50 Greatest Leaders list : The ‘World’s 50 Greatest Leaders’ list of Fortune Magazine features men and women from across the globe from the fields of government, business, arts and the philanthropy who are transforming the world and inspiring others to do the same. Who is the de-facto Chairman of "Crisis Management Group"of the Government mandated to take decisions during any calamity or emergencies like terrorist attack etc. ?